Click on the products above for more info. Our selection of air purifiers and air cleaners will help protect your health from the dangers of allergens and indoor air pollution. As amazing as it may seem, the Environmental Protection Agency (EPA) states that the Indoor Air Quality in your home may be 4 to 100 times more polluted than the air in cities like Los Angeles and Houston. Clean your indoor air and help protect your family's health with a true HEPA air cleaner or HEPA air purifier from Austin Air or BlueAir. FACT: The EPA says that indoor air pollution is a major health concern! FACT: The American College of Allergists states that 50% of ALL illnesses are aggravated or caused by indoor air pollution! FACT: The American Lung Association, states that by the year 2005, 3 out of 5 people will suffer respiratory and breathing difficulty! Your sources of indoor air pollution include: asbestos, insulation, dust mites, mold spores, pollen, animal hair, bacteria, pet dander, cleaning products, tobacco smoke, out-gassing from carpet, drapes and plastics, and many other allergens and irritants. 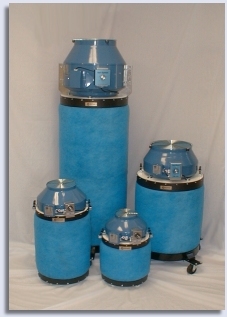 The true HEPA air cleaners and air purifiers we offer will remove up to 99.97% of all these particles as they pass through the HEPA air filter. Air purification and air filtration, as performed by our state-of-the-art HEPA Air Purifiers, helps provide relief from allergies, asthma and breathing difficulties by filtering 99.97% of all airborne irritants larger than .3 microns (0.00001 inch) as they pass through the filter. To understand how small .3 microns is, for instance: a human hair is about 70-100 microns in diameter and a single particle of tobacco smoke is a full 1.0 micron in diameter!